The Blue Hens are coming off two straight wins over Cornell and Lafayette but lost its opener against CAA rival Rhode Island. 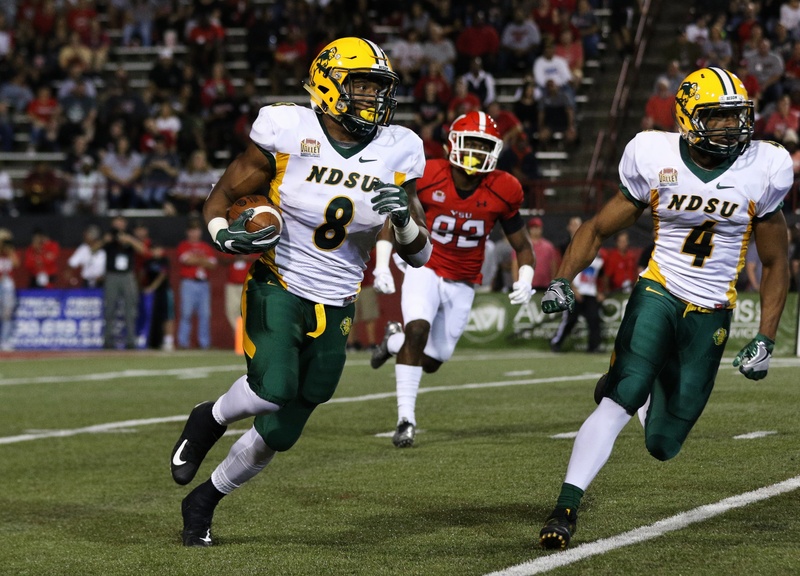 The game with NDSU is the first between the schools as these two former FCS champions signed a home and home contract to start in Fargo this year and Delaware will host NDSU in Newark next year. country with NDSU (6th) and Delaware (9th) both ranking in the top 10 nationally in total defense. The teams have combined to allow an average of just 85 yards per game rushing from their opponents. This will be the 13th meeting for Delaware against the top ranked team in the FCS. The Blue Hens are 3-9 all-time against these squads. The last time Delaware defeated a top squad was against another MVFC squad on the road in Northern Iowa in 2007 playoffs. for 254 and a TD in the win over Cornell. He became the first Blue Hen to ever throw for 200-plus yards in each of his first three career starts. Kehoe is just one of three QBs at the FCS level with six TD passes and 0 INTs. He’s joined by Shelton Eppler (Northwestern State) and Taryn Christian (South Dakota State). became the first Delaware player to record a 200-yard passing game, a 100-yard rushing game, and a 100-yard receiving game in a career. Look for him to use all three phases in this game to try to pull off the upset over the Bison. NDSU is coming off two blowout wins sandwiched between a bye week. The Bison have defeated Cal Poly and North Alabama by a combined score of 87-10. This is NDSU’s homecoming game and have won seven such games in a row. The last loss on homecoming came in 2010 against MVFC mate Western Illinois. NDSU is 5-1 against opponents from Delaware’s conference of the CAA with all six previous meetings coming in the FCS playoffs. The Bison have semifinal wins over New Hampshire and Richmond, defeated Towson to win the 2013 national championship, and have a 2-1 record against James Madison including a national championship victory last year. Key Player: RB Bruce Anderson is fourth nationally averaging 10.95 yards per carry. Overall, Anderson has already rushed for 241 yards and three touchdowns in just two games. With two top defenses, the key likely will be time of possession in this game and Anderson and the other running backs will be key to keeping that time of possession in the Bison’s favor. Fantasy Bonus Baby: WR Dallas Freeman is eighth in the FCS with 27.0 yards per reception. Freeman had career highs of four catches and 117 yards against North Alabama, including catches of 54 and 48 yards that both led to NDSU scores. It was NDSU’s first 100-yard receiving game since October 2017 when RJ Urzendowski had 100 yards against Western Illinois.